Along with being the first IGBC pre-certified Platinum rated Green Homes in Eastern India, Altius is partnering with the worlds best brands to offer you higher and superior living. Windows from Kawneer and Glass from Pilkington, from USA and Japan; Italian Marble direct from Italy; VRF Air conditioning from Daikin; Lifts from Mitsubishi, Japan; Switches from LeGrand, France; Fittings from Bravat, Germany. The project offering 3, 4, 5 BHK, Duplex and Penthouse at location Christopher Road, off EM Bypass, Kolkata Central. Christopher Road, a prime residential destination of Kolkata Central is well connected to other parts of the city. Both developers and potential buyers are eyeing this locality because of several factors including the presence of reputed educational institutions, entertainment zones, health care centers and other essential civic utilities, connectivity benefits, well established commercial buildings, improved social-physical infrastructure and proximity to office spaces. The aforementioned benefits have escalated the sales of existing units and has favored the upcoming residential projects of the locality. The realty landscape of Kolkata has witnessed a number of new residential structures which are conceptualized to offer plentiful benefits to potential homebuyers. Developers are scouting for profitable land parcels so as to bring in their innovative and technology infused housing units in order to cater to growing demand. This growth is due to several factors like affordability, good connectivity, availability of modern and essential amenities and civic utilities, well-structured commercial buildings, and ferrous infrastructure. Therefore, buoyed with positive sentiments, the city is becoming as one of preferable places to invest in the real estate sector. In which area is Altius located?The project is situated in Christopher Road, Kolkata Central. What is available flat size in Altius? 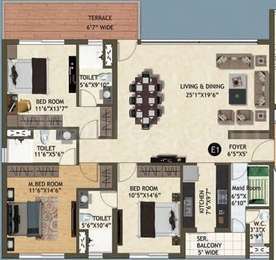 Flat sizes in the project range from 2168.0 sqft to 6200.0 sqft. 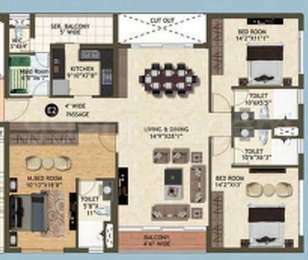 What is size of 4 bhk in Altius? The area of 4 BHK apartments ranges from 2911.0 sqft to 6200.0 sqft.  How much is the total size of Altius?The project is spread over an area of 2.0 Acres. How many towers are there in Altius? There is 2 tower in the project, which offer a total of 120 housing units. er a number of rewards including, Construction Industry Awards 2012, GIREM Award for 2009. Prudent Infrarea has created a niche in the city's property market. The team works on building residential flats in Kolkata, with excellent quality material. Prudent Infrarea has a rich experience of residential and commercial spaces from the past 30 years. They believe in creation of greener environment with a vision towards greater social responsibility. The brilliance of an idea can only be realized through its delivery and unmatched experience. 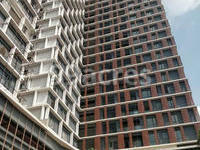 The need for quality lifestyle in residential market and working spaces, has made the group a known entity in the city.